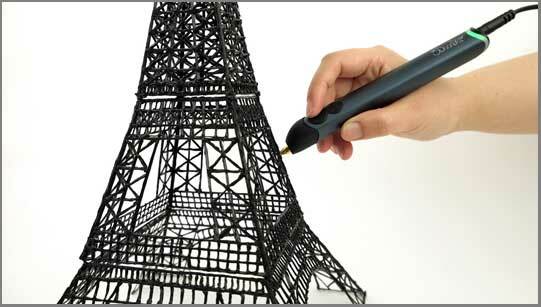 3D printing pen brought big revolution to the 3D technology. The 3D technology was discovered many years ago. Since then, man has been addicted to this technology. In the course of time, 3D technology has spread in many sectors present on Earth. The printing sector has also improved much due to this technology. The 3D printing technology was invented much later in the 1980s. The 3D printing needs a special printing machine which can execute the process of 3D printing. The printing started with the help of LASER. It was used to achieve printing. The process of stereolithography was discovered to do the 3D printing. In the initial stages, the pattern was put in the liquid polymer, and the required pattern was formed. The term means an additive process where the liquid will be made to solidify in the model, as per the requirements. The 3d technology got more advanced in the course of time, and now the additive process does the work of 3D print. One can even share the 3D printing files with one another. This has proved to be very helpful for scientists and researchers, who are constantly researching in these fields. The most recent advancement in this respect is the advent of the 3D printing pen. The pen is the hand-held gadget of the 3D printing machine. The 3D printing pen has covered the market in most parts of the world and has achieved popularity in a small span of time. The excitement of the people towards this pen made researchers work even more on this pen. 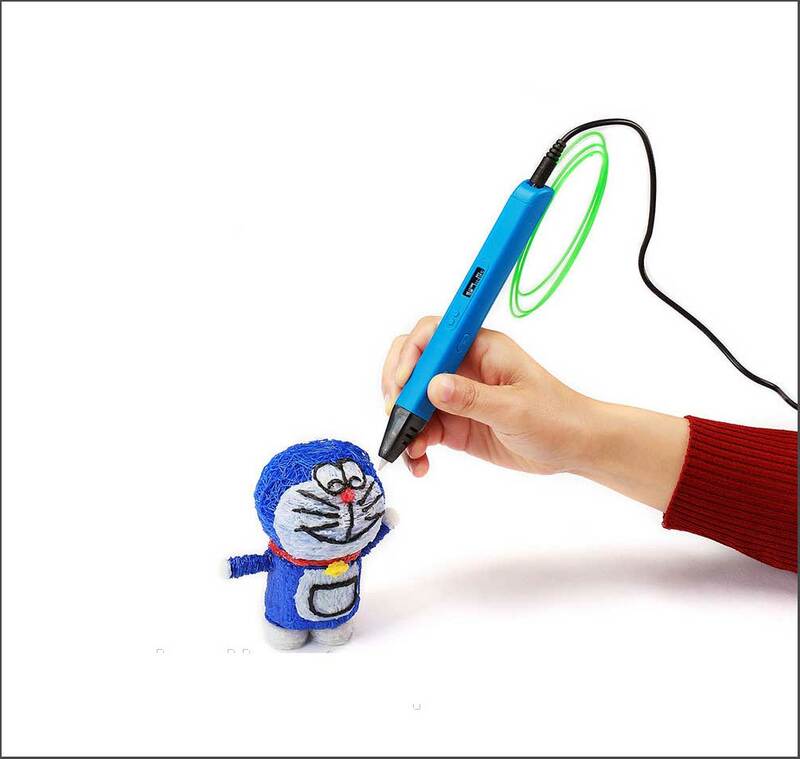 The first 3D printing pen made was the 3D doodler. That is the same company which brought world’s first 3d printers some years ago. Although 3d printing technology is not commonly heard name among many but competition in the market is high. Many companies have come forward and are making best pens. The smartest one comes from a company named Lix. Lix has made a pen which looks identical to the normal pen. Its Design is one of the best in the market. It has raised a good investment for funding the project from Kickstarter. The pen also has gained much popularity among the people around the world. The selection of the perfect pen is of uttermost importance as different pens have different specifications. The user should buy the pen according to the requirements. One should always look out for a low heating time and also the minimum cooling time in a pen. Moreover, it should be compatible on every surface. 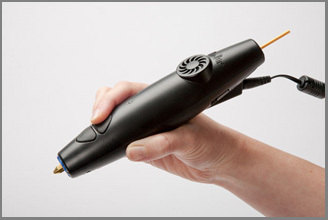 The compatibility issues are a significant part of 3D printing pen. There are a variety of pens on the market, produced by different manufacturers and each one of them has a unique feature. So, one must look for the features that will prove to be quite apt for their modeling. The 3D printing pen has to be started by connecting the wires to the electric current supply to pass through. the filament has to be selected keeping in mind about the requirements of the model. The filament is heated in the pen and it will be made to eject through the nozzle of the pen. The speed has to be regulated also, in order to achieve the desired results. You can find many coloring markers in the market. 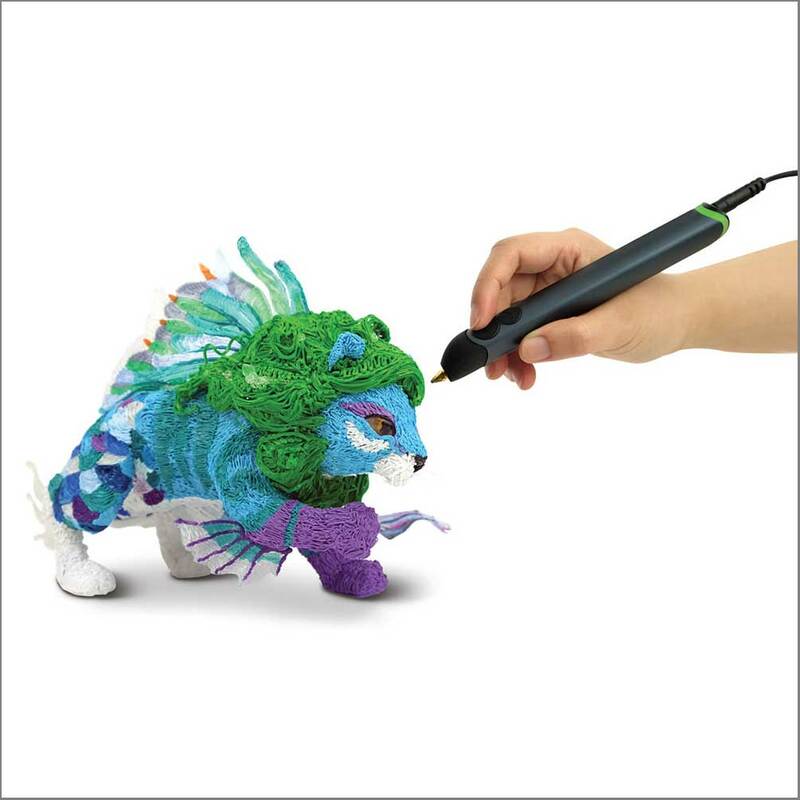 You can even purchase a 3d pen for kids too. After considering all the conditions to be ok for modeling, the pen can be turned on for use. Though the pen is totally safe for use, still the user should be careful while making these models as the filament coming out in liquid form is heated to a very high temperature and it may cause harm to the human parts which come in contact with the filament. The 2D figures are drawn first according to the size and shapes as per the requirements. One who is using the 3D printing pen for the first time has to make the model placing it on shapes and join the parts to form the 3D model. The sketching has to be made perfect as it is quite easy to handle. The 3D printing pen helps many artists basically who can draw and design modeling according to their mood and imagination. There are no restrictions from a 3d pen. It can literally give you exact 3d shape to your thoughts. Have a look at a below model. It is completely made through a 3d pen. One can also go for designing objects in 3D as it can be considered as a free hand drawing in 3D. The children can also use it for their use, and it is safe also for them. It needs the skill to draw these figures but one can easily the skill sets, to achieve their desired results. Plastic toys and other objects can be fixed quite easily as the filament used in the 3D printing pens is mainly plastic. So, the materials being the same almost would mold itself together perfectly. This would be of great use as the plastic objects in the home, which is partly damaged can be repaired, and they will be good as new to use. Recycling did at its best. Therefore, the 3D printing pen works in a set of steps, and it will prove to be quite helpful for mankind in the years to come. The working of the pen is very easy and allows us to make and repair objects in the home, without going or involving any other specialized people. Experiments are being constantly done in these fields and innovations will follow surely in the later years. Current exponential progress indicates that we are going to see a lot of 3d printing technology in the coming years. Not only this technology will save our time but will make the whole process a lot faster and efficient.